According to Detectives, the female victim, 19, when she was approached by a suspect who threatened the victim with a black handgun. 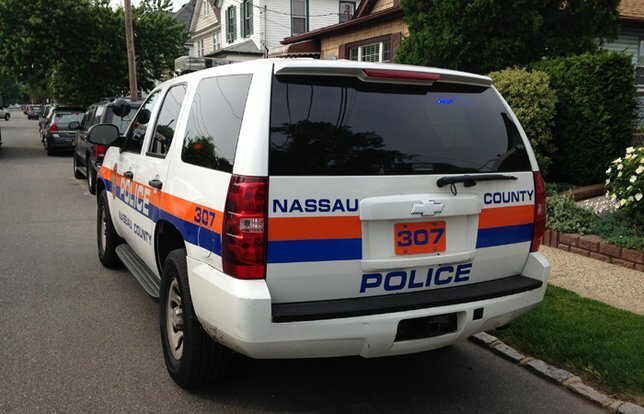 NCPD reports the details of a Robbery that occurred on Wednesday, September 27, in Uniondale. Uniondale, NY - September 28, 2017 - The First Squad reports the details of a Robbery that occurred at 11:50pm on Wednesday, September 27, 2018 in Uniondale. According to Detectives, the female victim, 19, was walking on Ditmas Avenue with two of her friends (ages 19 and 21 yrs.) when she was approached from behind by a suspect described as a male black, 15yrs., thin build, 5’7”, 140lbs., wearing a gray hooded sweatshirt, black jeans and riding a black colored BMX style bicycle. The suspect threatened the victim with a black handgun and demand the victim drop her handbag. The victim complied; the suspect grabbed the bag and fled the scene on his bicycle westbound on Ditmas Avenue. The proceeds were an undetermined amount of US currency, a debit card and personal items in the handbag. No injuries were reported. Subject: LongIsland.com - Your Name sent you Article details of "Authorities Conducting Search for Suspect in Uniondale Gunpoint Street Robbery"